The ARPEGEO project is designed to establish an tripartite institutional partnership between Institute for Environmental Sciences at the University of Geneva (ISE), the Center for Ecological-Noosphere Studies of the National Academy of Sciences of the Republic of Armenia (CENS) , and the Institute for Informatics and Automation Problems of the National Academy of Sciences of the Republic of Armenia (IIAP) . About half the size of Switzerland, Armenia is geographically located in the South Caucasus region. Its past and current industrial activities have lead to various severe environmental problems, notably regarding soil pollution and degradation. Although Armenia had a long tradition of excellence in Science and Technology during the Soviet Era, the disintegration of the Soviet Union had many direct negative consequences: plunged research and education budgets, exodus of scientific and technical talents, obsolescence of laboratory material, and little visibility and competitiveness to participate to pan-European and international scientific projects. The present Institutional Partnership project aims at building capacities in two leading Armenia Institutions in regard to the management, processing, and sharing of geospatial data in the environmental domain. In order to achieve high quality time- and cost-effective environmental assessment and research studies in Armenia, there is indeed a strong needs to deploy a standardized Spatial Data Infrastructure (SDI) dedicated to a wide array of environmental data. There is also a strong need to process computationally-demanding analyses in an efficient manner, notably through distributed computing such as Grid computing. The partnership is built around five joint activities. In activity (A), a SDI will be set up at CENS in order to establish centralized efficient data management. A common workshop will be organized to transfer know-how and best practice regarding international (meta)data standards and to initiate the participation to the Global Earth Observation System of Systems (GEOSS). In activity (B), the Armenian Grid computing facility will be scaled up at IIAP with storage capacity, and new innovative workflows for analyzing environmental data will be implemented. In activity (C), a new Master-level course on “data management and analyses in environmental sciences” will be developed. 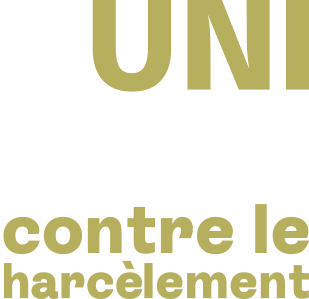 Selected student will be able to do an internship at UNIGE/UNEP offices in Geneva. In activity (D), a new Master program in the domain of environmental geocomputation will be established in order to foster new multidisciplinary avenues for research. Finally, in activity (E), national and international networking activities will be implemented, and an international event will be organized in the Armenian capital Yerevan around data sharing and SDI, targeting users, stakeholders and scientists in the region. Networking activities will be achieved, in part, thanks to the 30-partner consortium that UNIGE is coordinating around the Black Sea in the framework of the EU/FP7 project enviroGRIDS. The 2-year project runs from September 2011 to August 2013 and has received seed funding of CHF 170’000.- from the Swiss National Science Foundation under the SCOPES (Scientific Cooperation Projects with Eastern Europe) program.